Word on the street was the chopper shows in Daytona this year were going to be killer so we got the van packed and ready for the long trip. We planned to leave early Wednesday morning, but as usual the New England weather got in the way so we left late that afternoon. The first show we were vending at was Thursday at noon at Willy’s Tropical Tattoo. We drove straight through the night and ended up getting there at 11:45 AM for the show. We were stoked we made it on time because the show was packed and worth checking out. 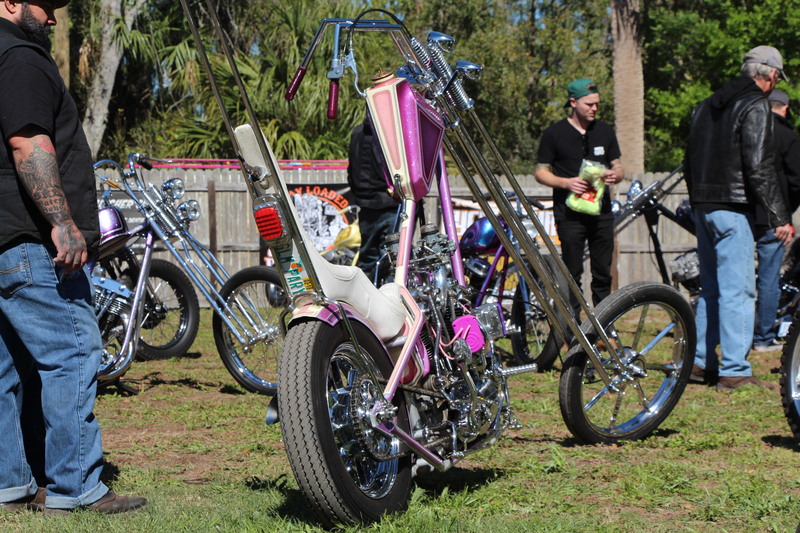 The next day we set up at the Boogie East Chopper Show put on by Rich from VNM and Scott of Chemical Candy Customs. This show had some unreal motorcycles in the show and some rad bikes brought by spectators. At night we went downtown checked out some of the bars, listened to some bands, and had a great time! On the last day of bike week we watched a killer Wall of Death Show put on by the Ives Brothers and then headed over to the Biltwell Bash at Robisons Motorcycles. This show had lots to look at and bikes lined the streets to check it out. We wish we could have stayed longer, but it was on to set up at the next show which was the Lowdown Hoedown held at Hold Fast Tattoo. This show filled up quick and was a great way to end our trip in Daytona. We met a lot of great people and got to see some nice choppers. Daytona Bike Week 2017 was without a doubt worth the trip and you can be sure to see us there again next year.